With all my kids I am always busy, so I try and find ways to be organized. One of the ways is a notebook. Staples sent me a really nice Arc Top-Bound Leather Notebook which was perfect! Since the notebook is leather it can handle almost anything my kids can dish out, I have that delay if it gets wet of having a chance to wipe it off without it ruining my papers. 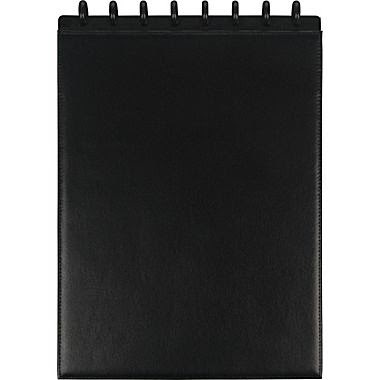 The Arc Top-Bound Leather Notebook has 60 ruled sheets, which is plenty of space for all my notes and needs. I find myself writing in it almost daily, with a check list of chores, shopping list, appointments and more. What I love is that Staples had also sent me Arc Customizable notebook system page flags. They Page Flags are little papers like sticky notes which can be placed throughout the notebook, so I could have a system, appointments yellow, grocery list green, kids things pink, and so on. I love that the Page Flags could be connected to my notebook so they are always there when I need them. The Arc Top-Bound Leather Notebook is great for the holidays as well, with so much going on, its great to know where I need to be, when, what to decorate and so much more. It really is a great notebook it even has a place for a pen so I always have one on hand. 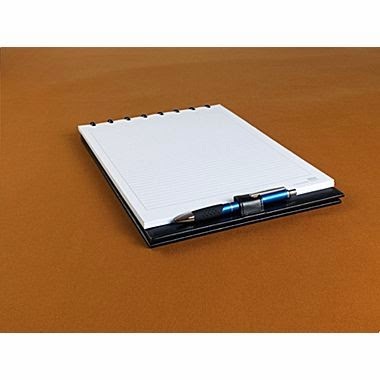 You can purchase your Arc Top-Bound Leather Notebook on Staples website by clicking here. 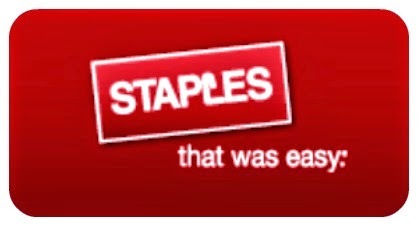 Staples has everything you need to get organized this fall, just check out Staples by visiting a store near you or website by clicking here.